Where can you find the motivation to reach deep down inside and harness the amazing power that already lies within you? There are 10 qualities to success. They are the basic ingredients to career and personal success, and all highly successful people have them in common, and in abundance. In this video Brian Tracy shares each quality with you, tells you how to introduce it or reinforce it in your life, and become the success you’ve always dreamed of. You learn to act, walk, talk and live by the same principles and do the same things that successful people do. Deep down you begin to view yourself as a successful, positive, optimistic, unstoppable human being. 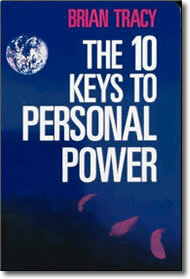 Learn the 10 keys to personal success and achievement from the master of success. As head of two companies, Brian Tracy has consulted with more than 500 corporations. The former COO of a $75 million dollar a year corporation, he speaks four languages and shares his winning insights with hundreds of thousands worldwide.